MANILA – What happens when you allow a “barkada” or a cabal of people with the same background, but not the requisite qualifications, to run an agency with a huge mandate and an even bigger luggage as one of the “most corrupt” in government? A total breakdown in the system, which has made it possible for PhP6.4 billion worth of shabu (crystal meth) to be smuggled into the country through the Bureau of Customs’ Green Lane. 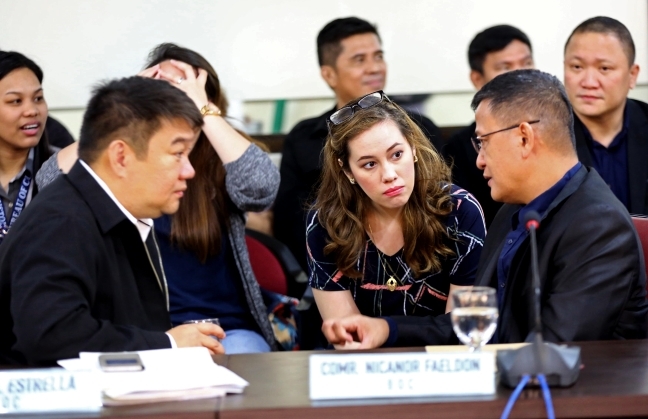 The Senate blue ribbon committee released Tuesday night a draft report on its investigation into corruption at the Bureau of Customs and the P6.4 billion shabu smuggling, recommending an overhaul of the agency and the filing of charges against its former chief, Nicanor Faeldon and several others. The former Marine officer had put in a “cabal” of former military men who had no knowledge and expertise in customs administration, some f whom were corruptible, and this made it possible not just to facilitate release of undervalued shipments but the entry, without inspection of a containerized shipment of drugs, said the report drafted by the committee chairman, Sen. Richard Gordon. 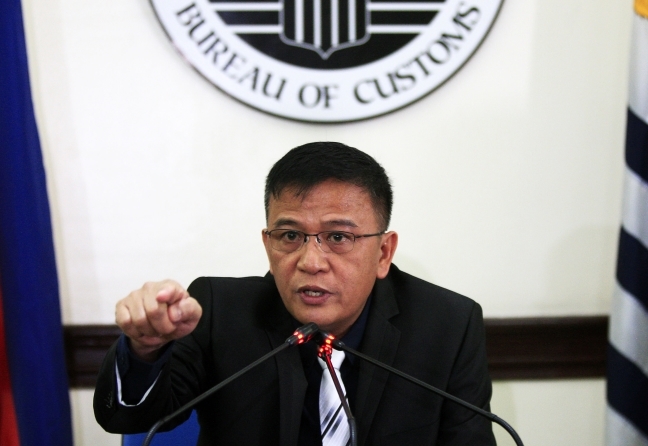 The committee said it thus found basis to charge Faeldon with violation of RA 10863, or the Customs and Tariff Modernization Act (CMTA), specifically his usurpation of powers of the secretary of finance and his over-centralization of institutional controls in a so-called “Command Center,” that would have prevented the shabu smuggling from happening. “One major contributor to this disarray in the bureaucracy was his penchant for putting in a cabal of like-minded people, coming from the same background, PMAers or Magdalo members. He created an echo chamber, where they listened only to themselves. Sadly for the country, we found that such an arrangement only led to gross incompetence, resulted in corrupt-ible officers, managers. One hard lesson learned: do not put one barkada in one place, performing the same assignment,” said the report. • Director Neil Anthony Estrella, director for Customs intelligence, for violation of RA 10863 and the antigraft and corrupt practices act. Estrella’s biggest fault, in the committee’s eyes, was his failure to coordinate with the Philippine Drug Enforcement Agency (PDEA) as mandated by law, before carrying out a “controlled delivery” at a Valenzuela warehouse, which could have allowed authorities to catch the main culprits. The failure to work with PDEA in timely fashion also compromised the prosecution of the case. • Milo Maestrecampo, director, import assessment service, for malfeasance, misfeasance, nonfeasance. The blue ribbon also found that the Harmonized Systems codes used by Taguba and licensed customs broker Teejay Marcellana for their shipment, allowing it to be tagged for the green lane, came from Maestrecampo. Other key players in the shabu smuggling were also recommended for charging, but not Davao Vice Mayor Paolo Duterte and Atty. 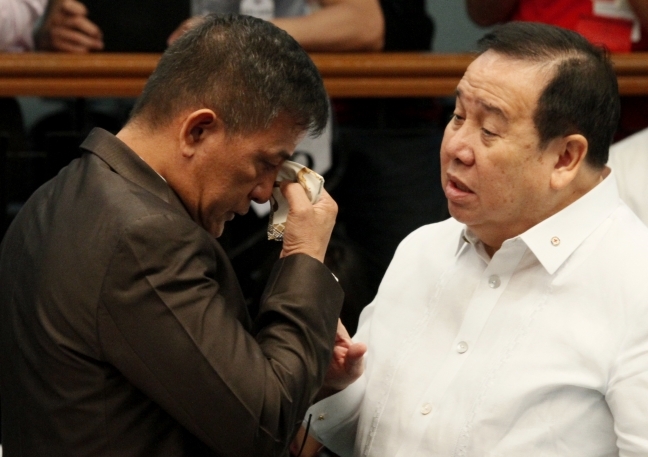 Maneses Carpio, the President’s relatives who appeared in one hearing after Sen. Antonio Trillanes tagged them as part of the “Davao Group” that controls the influence-peddling at Customs. Instead, the blue ribbon simply recommended a lifestyle check on them and several others. 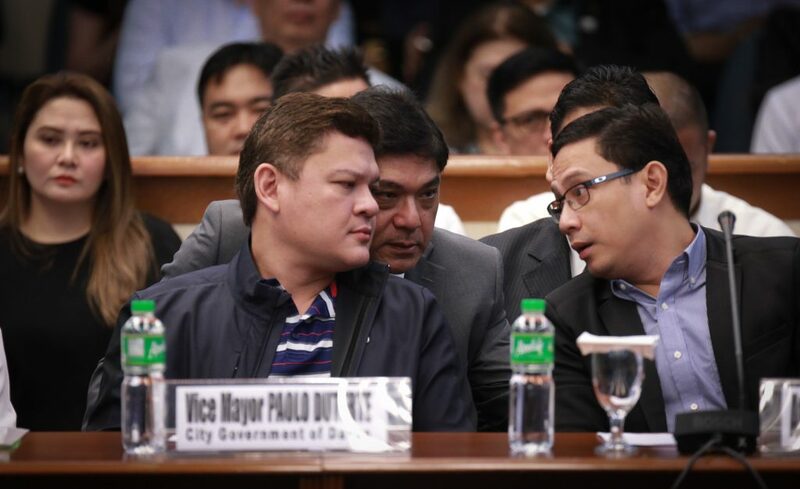 Presidential son-in-law Manases Carpio (right) and Davao Vice Mayor Paolo Duterte. • Chen Ju long aka Richard Chen and Richard Tan, a goods and cargo consolidator who owned Hong Fei Logistics, that handled the shipment of printing equipment that subsequently turned out to have disguised the shabu. 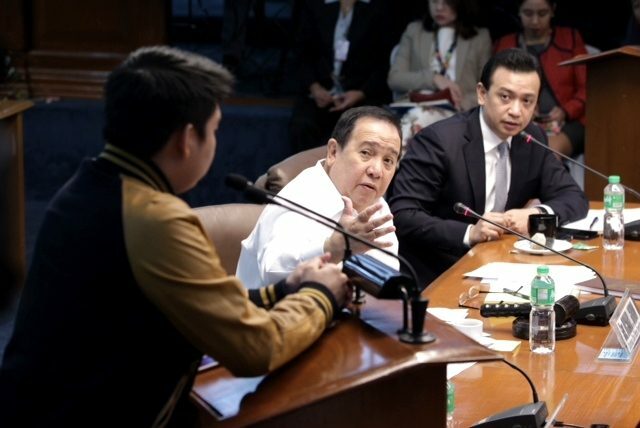 Establishing his intent to commit a crime is not indispensable, said the committee, as the crime he has allegedly committed is mala prohibita, referring to violation of RA 9165, Comprehensive Dangerous Drugs Act. • Li Guang Feng, aka Manny Li, was a mere facilitator, a “victim of circumstance,” said the blue ribbon, and it expressed hope that the law enforcement agencies would consider several positive acts of his throughout the episode. As example, Li refused to change the packing list of the shipment when told to do so by those who had set up the drug importation; and didn’t leave country when told to. • Dong Yi Sheng aka Kenneth Dong, for importatation of dangerous drugs and/or controlled precursors and essential chemicals. Dong is also liable for violation of the National Internal Revenue Code (NIRC). • Mark Ruben Taguba II, the whistleblower who provided the senators listings of those benefiting from the “TARA” system. He was described by the panel as the “quintessential corruptor” and recommended for prosecution for violations of the Customs Act, corruption of public officials and violation of RA 9165 in re: importation of dangerous drugs. • Davao councilor Small Abellera, for direct bribery. The committee further recommended the filing of charges against the officers of the BOC Command Center and other specified personalities. The 15 respondents subject to lifestyle checks as detailed in the Committee Report. 2. Golden Strike Logistics, Inc.